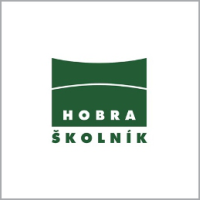 The company HOBRA is a significant European manufacturer of solutions in the areas of filtration and insulation. The first HOBRA branded insulating products saw the light 85 years ago and the company is engaged in filtration for more than 65 years. Convince yourselves about the outstanding quality of insulation and filtration products developed and manufactured using the state of the art technology and strict quality standards. The firm wants to profile in the long term as a leading-edge firm supplying products of highest quality. In addition to quality product supplies, the company also wants to provide top advisory and logistics services. By collecting information about new directions in the application of its products, the company must respond adequately to all changes and have its own development department to improve its products, the complete offer and related services continuously. In production, the quality policy objective is to enhance production effectiveness while simultaneously reducing the energy intensity. Enhance employee qualification consistently at all levels, especially in respect of quality. Within the production plant, keep the technology at a high technical level and all the plant premises tidy and clean. Given the plant location within the “Broumovsko” Landscape Protected Area, make sure constantly that the technologies, raw materials and products do not threaten the environment. The sheet with AC is made as a high-flow capacity product with high porosity so that no solid impurities could be entrapped and the sheet clogged, which would reduce the AC potential in the sheet and result in a shorter lifetime. Generally, sheets containing AC are not called “filtersheets”, but they are products which can “treat” liquids. The sheet is, basically, a supportive structure enabling the utilization of AC potential and being in the longest possible contact with the product. 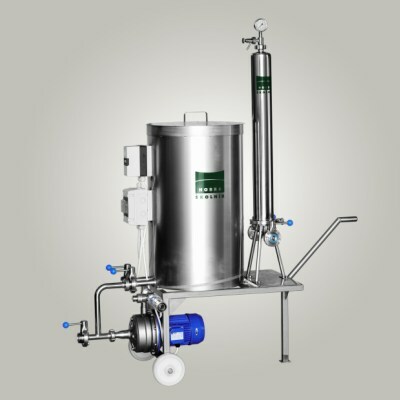 The AC actually works by means of its contact with the filtered liquid so the most important and critical factor is the time period for which it is in contact with the AC and flow capacity per square metre is also very significant. Модульные фильтры (housing) ORBICOL отличаются высоким качеством исполнения и изготовлены исключительно из высококачественной нержавеющей стали марки AISI 316L. Фильтры состоят из стоек на трех опорах, съемной крышки и зажимающего сегмента. Производятся две основные модели, каждая в трех размерах с различными возможностями дополнительного оснащения на входе и выходе. Преимуществом этого оборудования является закрытая фильтрация без доступа воздуха и без утечки, простое и быстрое включение фильтровальных модулей в работу и относительно низкий объем воды, требующейся для регенерации, санации и стерилизации модулей. Следующим преимуществом является вертикальная конструкция оборудования, которая позволяет достичь высокой производительности фильтрации при небольшой площади, требующейся для установки оборудования. Модульные фильтры ORBICOL применяются при производстве напитков, в фармацевтической, химической и косметической промышленности, а также в области биотехнологий и фильтрации технических и растительных масел. Благодаря многолетнему опыту в области фильтрации жидкостей компания HOBRA может предложить заказчику специфическое решение всего процесса фильтрации. Depth filter sheets are made of carefully selected and inspected materials that are harmless to health, especially from various types of cellulose, high quality kieselguhr, perlites and resins. Filter sheet is in principle a three-dimensional depth filter that is characterized by the presence of adsorbents, compounds with a large internal surface. 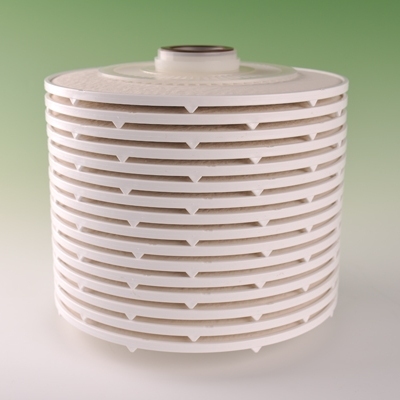 Hobrafilt® depth filter sheet of the “C” series is a filtration medium with a high purity that ensures extremely low amount of metal ion extracts (e.g., calcium) during the filtration process.